If you’re undergoing a remodeling project in 2018, then it can be good to keep up to date with what’s popular in the world of design. You want to pick a countertop style that’s current and trendy, but that will also stand the test of time and won’t be out of style within a couple of years. So, here are a few of the most popular countertop trends for 2018. 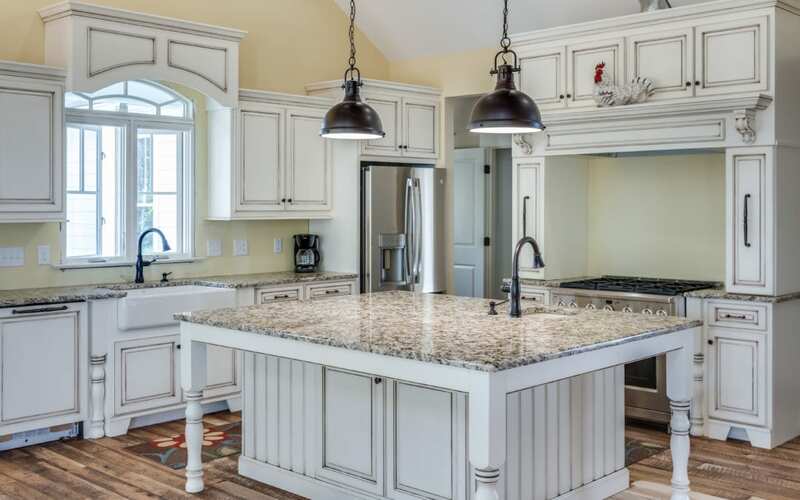 Granite has long been the poster child for attractive countertops, but it has had quartz as a competitor for the last couple of years, and that’s not going to change. The popularity of quartz looks set to stay thanks to its non-porous properties meaning it doesn’t need sealing regularly like granite does. This also makes it a more hygienic surface for preparing food as it won’t retain germs and bacteria as much as granite. On top of this, quartz provides a great looking surface and is just as tough and durable as granite. Homeowners looking for a more modern, seamless look in their kitchen or bathroom are opting for integrated sinks. This means that the sink is made from the same material as the countertop and one simply flows into the next. As well as the visual appeal that this style offers, it is also extremely practical. Cleaning and wiping down surfaces becomes much easier as there is no break in the surface, and you don’t have to worry about the build-up of bacteria in the gaps between the sink and the countertop. More and more people are ditching bright and bold countertops for more neutral grays, creams, and beiges. This gives the countertops a much softer feel and doesn’t detract too much attention away from other features of the room. Quartz especially lends itself to this neutral style as it can be crafted in a wide variety of colors and hues. So, if you’re set on having a colored countertop, you could have a quartz slab that’s a soft blue or pink, remaining fairly neutral while still adding a splash of color. If you’re worried about all this neutrality making your kitchen look boring, then don’t worry because patterned and textured countertops are also in style. Textures like honed or leather finishes are adding character to people’s countertops, while the engineering of quartz countertops allows for natural-looking veining and patterns to be added to the surface for a natural stone look. What countertop style do you fancy for your kitchen or bathroom in 2018? Try out our visualizer tools to help you choose your countertop design. And if you need any help choosing or installing your countertops, then get in touch with us today. We serve the Triad area including Winston Salem, Greensboro, High Point, and Kernersville.